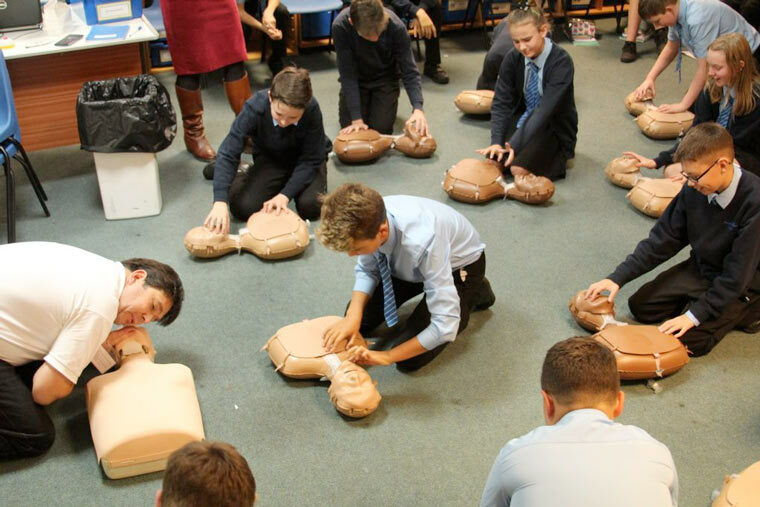 Ferndown Middle School pupils learned lifesaving skills at the recent Restart a Heart Day. Ferndown Middle School say it was a privilege to welcome Richard Newton and his team from Evince Training to Ferndown Middle School in October to lead CPR training for all their year 7 and 8 students as part of this year’s European Restart a Heart Day. Students engaged in a practical session where they received professional training about how and when CPR should be administered. The lifesaving first aid can drastically increase the chance of survival of a patient experiencing a cardiac incident and now a further 250 young people will know what to do if they have to deal with an emergency of this kind. Staff at Ferndown Middle School are very grateful to Richard and his team who kindly provided the sessions free of charge and to the John Thornton Young Achievers’ Foundation who funded the purchase of two sets of resuscitation dummies for the training of the young people of Ferndown.